Just two SPL games this afternoon with four clubs involved in the league cup semi-finals and Dundee United playing Hibs tomorrow. What, I ask, is the point of playing the League Cup semi-finals at the weekend, at the same time as SPL games? Hamilton are still rooted to the bottom of the table. It could be that there tactic is to stay exactly where they are and sit back and watch as Hibs come careering past them and into the First Division. But they’re form has shown signs of picking up. They’ve drawn with St Mirren, Motherwell, Celtic and Inverness in recent weeks. A 4-0 defeat at Rangers aside they’re not losing a lot of goals. The key for Billy Reid would be to find a goalscorer. Will Mickaël Antoine-Curier fill that role? If he can then Hamilton might just be giving Hibs even more to worry about. Kilmarnock have developed the unpleasant habit of losing late goals. They lost to two goals in the last 20 minutes against Hearts and drew with both St Johnstone and Dundee United to goals in the last couple of minutes. It’s a pattern that Mixu Paatelainen will be hoping doesn’t become a habit. Kilmarnock’s new signing from AC Milan might feature today. I never thought I’d write that sentence. Has Mixu uncovered another Eremenko type gem in Willy Aubameyang? Despite Kilmarnock becoming the SPL pin-up team of the season I have a feeling that Hamilton will take advantage of Hibs not playing to get something here. Home comforts are probably just what Hearts need after their uncomfortable night at Celtic Park on Wednesday. But St Johnstone in winning the cup game here that they’re more than capable of holding their own. It’s for others to worry about the ramifications of Hearts’ defeat in midweek. They just need to get back to winning games. Kevin Kyle might miss out a game which could cause Hearts problems. There is a big squad at Tynecastle but the players at the fringes don’t suit Jim Jefferies’ requirements. Two wins and two draws in the league mean St Johnstone are unbeaten in 2011. Games in hand over Motherwell and Inverness mean the top six is looking vulnerable to a Perthshire charge. Despite that I think Hearts will have point to prove today. And they’ll prove that point by taking three points. Home win. This week's Friday videos feature man of the moment Charlie Adam. Will he go to Liverpool? Will he stay at Blackpool? Will Charlie, Rangers or Ian Holloway make more money from the deal? Snippets from a radio interview on Wednesday night seemed to offer a glimpse of the dualism of Craig Brown's career. First there was the promise of a new signing at the start of next week. An English Premier League player no less, set to feature in the FA Cup this weekend before moving north on loan. This was Brown the conjuror, the ageing maestro sprinkling the SPL with his magic. A league so moribund that at times since he took over at Motherwell and then moved on to Aberdeen he's seemed to reinvigorate it with consumate ease. And then there was talk of the upcoming League Cup semi final with Celtic. Talking about the last clash between the two sides Brown noted that Aberdeen had outperformed Celtic in various Opta tracked measurements. This was Brown the hard to love Scotland manager. The man who could find a positive spin on an abject defeat to Morocco, who would justify his loyalty to older players with ever more tenuous claims about "statistical" victories all over the pitch. His reinvention as the grand old man of the SPL has been fun to watch for those who like Brown and for those who have only realised with hindsight the blessings he brought as national manager. But it might not play quite as well with others, with those who look back on that horror night in Saint-Etienne when Morocco drove a fleet of buses through Jim Leighton's near post and remember only the pain and the anguish and a manager in denial. Which explains perhaps why Brown is still not universally loved. But there is, I suspect, a growing fondness, an increasing respect. Because since his surprise reinvention as a club manager with Motherwell, Brown has performed admirably. As he prepares to lead Aberdeen into a national cup semi final he can already reflect on a job well done since taking over at Pittodrie. 13 points gained in the league and only one defeat might not sound much. But Brown has eased relegation woes and brought solidity to a club that seemed to lurch from crisis to crisis. In his first six games Scott Vernon and Chris Maguire scored ten goals between them. Just ask Colin Calderwood how hard a trick that is to pull off. The mysterious player from down south - was Brown ever such a media tease when he was with Scotland - is likely to be another product of a deep knowledge of the English game and an enviable contacts book, both of which he shares with Archie Knox, his astute choice of assistant in a veteran double act. His signings so far for Aberdeen include Nick Blackman on loan from Blackburn and Robert Milsom who was released by Fulham. There's little reason to suggest they will be less successful than some of the useful players - including Blackman - he picked up at Fir Park as he showed an admirable agility to operate within the Motherwell budget. To prove the point Blackman scored on his debut on Wednesday night. Motherwell. Poor Motherwell. The spurned lover in the Brown-Pittodrie romance. And now having to watch Nick Blackman pull on the red shirt as well. It wasn't a great moment for Brown, his departure from Lanarkshire. The way he handled it was poor. And out of character. As far his sport is concerned Brown has always given the impression of probity and honour, of being a man of his word. The whole episode was shoddy and meant his career with Aberdeen didn't get off to as smooth a start as he would have liked. But a man who took Tosh McKinlay to two major championships is obviously used to having unwanted luggage to haul about when he embarks on a journey. In his defence, the managerial merry-go-round, the broken promises, the switched affections are part and parcel of football. And with Brown you know you are getting nothing less than a football man. A man steeped in the game, a manager with a deep love of football who has retained all his enthusiasm. Which is why he remains such a refreshing addition to the SPL even as he approaches his 71st birthday. It's early days for Brown at Aberdeen. The semi final is another test to be negotiated. But the results so far and his recruitment policy are grounds for optimism. Brown perhaps missed the most important statistic from that defeat to Celtic. The 1-0 loss was an eight goal swing in Aberdeen's favour since the two sides met at Celtic Park in November. Now that's progress. If he keeps up at this rate Brown might just be savouring one of the best results in his career come Saturday night. Another day, another SPL brainwave. This time it's the idea of an SPL TV channel. The SPL have drafted in IMG Media to look into the feasibility of launching their own channel. Not a new idea but an idea apparently reborn in the last few weeks. Let us then applaud the SPL for exploring all avenues. And also kudos for the choice of IMG. Love them or loathe them IMG have, whatever Sky might claim, probably had more of an impact on the monetisation of sport than anyone else. Ever since Mark McCormack first supped cocktails with Arnold Palmer, IMG have made the money roll in. But I still think this is a stupid idea. Totally and utterly stupid. Certainly, I suspect SPL chief excutive Neil Doncaster is "at it". I repeatedly said he that couldn't back up his claim that a ten team SPL was more attractive to broadcasters. Surely the idea of an SPL channel suggests that the clubs themselves don't have much confidence in their continued ability to lure broadcasters. We're told that other countries are doing the same or considering doing the same. And that is also true. France are on the road already, with the second tier league being used as a guinea pig. The French model will see the channel available as a paid for addition to the existing channels when France switches to digital TV. Would that be the SPL model? It's not as simple as just setting up a channel and claiming a spot on Top-Up TV, a service that already carries Sky Sports and ESPN. The Dutch already have Eredivisie Live. Would that be the model we chose to replicate? It might be a struggle if we did. Based on their subscriber numbers (around 475,000 in autumn 2010) and an entirely unscientific extrapolation of those figures we could estimate 140,000 subscribers for a Scottish model. That would tie in with the SPL viewing figures that Setanta limped on with until they were put out of their misery. But those figures for Setanta were from the season when they had English Premier League football as well. There is scant evidence to suggest that SPL TV would prove much of hit in England where Sky and ESPN have the live TV market just about sewn up. Eredivisie Live has bolstered its output with the FA Cup, Europa League and England internationals. All those are readily available to Scottish viewers on either free to air channels or established subscription channels. It's simply not a market in which SPL TV could hope to compete. Perhaps more pertinently Ajax are making fairly strong signals that they don't consider the €4 million they earn from Eredivisie Live enough and that they hope to pull out of the deal. The plan in Amsterdam is to sell TV rights for Ajax matches separately. Just imagine SPL TV wasn't a success? What would there then be to stop Rangers and Celtic negotiating their own TV rights? And would the ordinary Scottish fan be willing to pay yet more money to watch Scottish football? Would the overseas revenues come rolling in? Maybe we could consider North America and Australia as our biggest potential markets. SPL TV would not exactly be the biggest fish in any of those ponds. Because we shouldn't kid ourselves that it's a blockbuster product. Perhaps before reimagining himself as a tartan clad Charles Foster Kane, Neil Doncaster should address the dearth of quality on the pitch. In all of this you get the impression that the SPL are running around trying to recover from the trauma of Setanta's collapse. But the best way to recover from that disaster is not to chase another pie in the sky dream. Of course, this is all just at the exploratory stage. IMG have made millions from seeing financial opportunity where others have seen only oddly dressed young men doing funny things with balls. We can only hope that they can also spot an enormous folly when they see one. Does anybody care what the fans think? An oft repeated question during the ten team SPL pantomime of recent weeks. Well, Supporters Direct Scotland did care. And went about finding out with the help of some experts in the field. The results explained why the SPL were so keen to shy away from market research of their with the fans unanimously turning down the ten team option. Is that it then? Did Hearts title challenge amount to little more than a scrappy win over Rangers and three days of hope before a meek capitulation against Celtic? That's how it will play in today's papers. Maybe we were all a bit guilty of being overly optimistic. Those of use not in thrall to either Glasgow club, maybe even some that are, desperately want a challenge. Desperately enough to load a team with the burden of expectation on flimsy and premature evidence. Certainly Hearts played poorly last night. But they also played poorly on Saturday when beating Rangers. They were poor going out of the cup against St Johnstone and went a goal behind at Kilmarnock. David Templeton lit up the SPL a month or two ago. Now he needs time to develop his game. Without Kevin Kyle Hearts are lacking their indomitable focal point. Throw in some bad defending and a kamikaze performance from Rudi Skacel and a 4-0 defeat suddenly becomes less inexplicable. Especially against a Celtic team who are clicking in attack and carrying a big, big goal threat. Jim Jefferies' anger at the cup loss to St Johnstone maybe spoke volumes about his ambitions. He's no mug, old Jim. As aware as he can be glum, he probably realised that Hearts' hopes of a really successful season were ruined in the cup game. So what now? One defeat in a dozen games is not a disaster. The gap is not as narrow as it might have been at the top but Hearts look to have third place sewn up. If they can somehow stitch together another run as impressive as the one they've been on since October they can still play a role in the title race. Maybe the chance to challenge is gone, maybe the chance was never there. But Hearts can still have the Old Firm looking over their shoulders, can still make life difficult. There will be talk of a title challenge in tatters. That is both a compliment to their season so far and a result of the over reaction to Saturday's game. The key for Hearts, for Jefferies and for his owner, is that there is now something to build on at Tynecastle. 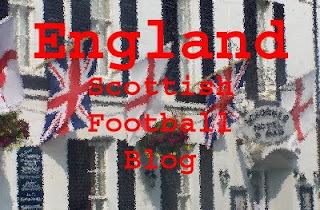 There is a real opportunity to build that fabled third force in Scottish football, a third force that is closer to the Old Firm than we've seen in recent seasons. Maybe, just maybe, next year we'll be talking about Hearts travelling to Celtic or Rangers as challengers in March or April. That, more than a scrappy win over Rangers and some late January hysteria from all of us watching on, would be real progress.